PUBG is a game about survival of the fittest. While this can mean the most aggressive player wins, it is by far not the average case. Knowing when to engage and when to lay low is key in having your first chicken dinner. 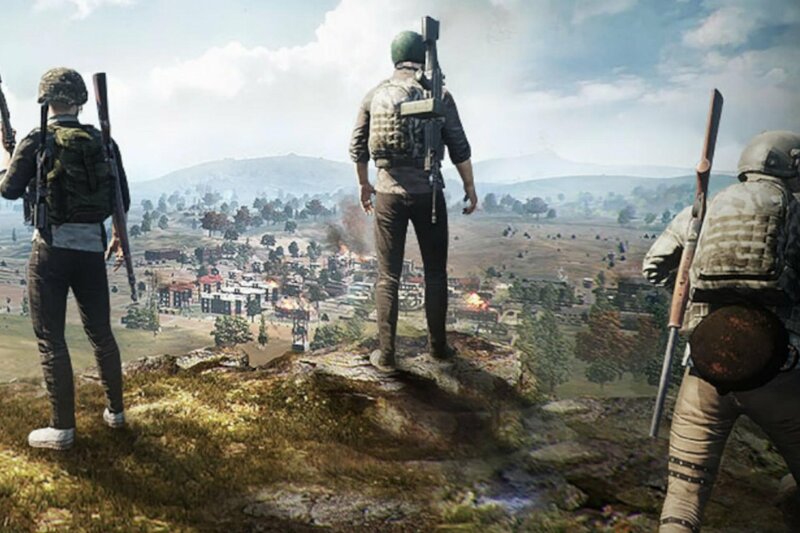 PUBG rewards an active playstyle. Just as much as being too aggressive will probably get you killed, being too passive will mean your opponents will have more and more of a tactical advantage through their gear. Making use of the ingame sound can make all the difference. Knowing where shots are fired, where cars are driven and listening to that all too careless player stomping around in his punk boots all make for a great way to either engage on your terms, or make sure you dont engage at all. Know your strengths and weaknesses. While most players would love to excel in every aspect of the game, every player has their own strengths and weaknesses. Be aware of what you are capable of and make sure the situations you get yourself in favor your strengths and avoid your weaknesses. Make use of every distraction. Sometimes you are pinned behind cover with no way out or you know where an enemy is, but can't get close without them seeing you. In those cases, using grenades is not your only option. Make use of the red zone, of the impending blue circle, of nearby gunfire, your teammates or even the loud sound of the airplane to get out of a bad situation, or into a good situation. Oftentimes, your opponent wont be able to track your movement. As a solo player, you will always have some blind spots. While some positions will allow you to make sure no one sneaks up to you, as soon as you are in the open field, you will often have to rely on knowing where other players are probably going to be. Always keep track of how far the blue circle is, where the new white circle is, and how likely it is that someone is behind you. Since you have no team to rely on, a single unsuppressed shot, even if it kills someone, can lead to your death. Players around your position will have a vague idea of where you are, while you probably don't know where they are. It is rarely advised to kill someone while completely exposed, even if your target is "an easy kill." When playing with a team, it is important to make sure that all players have the same gameplan. Some players enjoy playing fast and ending rounds quickly, while others have a more tactical approach and aim for the endgame. If the team does not follow the same gameplan, the players will oftentimes not work as a team. Further, players need to work as a team. Players that 'wander off from the tour group' are exposing themselves and their team to higher risk. When playing with a team, you can make sure all angles are secure at all times. This, however, requires communication. Make sure you use voice chat (or other methods of communication) to alert your teammates whenever something important is happening around you. Use the in-game compass (or notable site names) to inform your team where and what is happening. An early death of a teammate does not automatically mean a round is lost and dying early yourself can be a great opportunity to learn from your teammates. If you are really not interested in watching the rest of the match when dead, maybe do something else until the match is finished. Ranting will only inhibit your team even further. BATTLEGROUNDS puts you right in the fray, and because of this, it might be hard to take down players. There's three basic techniques you can use though, dependent entirely on your style, that can make you an absolute juggernaut. First and foremost is the ranged fire technique. This uses weapons with scopes to pick off distant enemies. Wait until your enemies are moving away from you in a clear line to open fire, as this will remove most areas for them to hide, giving you the most chance to deal major damage. Right click once for scope view, hold right mouse click for general zoom view. A big part of this strategy is the idea of the vantage point. Vantage points are areas on the map that are higher ground than the rest or otherwise give you more and better opportunities for aiming and firing. Second floors of buildings, tall hills, and wooded areas are all examples of great vantage points, as they give you a clear sight of the land and the ability to pick off enemies at range. Close and Loud is the principle of engagement where you fire on an enemy in quick, sudden bursts after disabling them in some other fashion. This can include using gas grenades or flash bangs and then turning around corners to lay down heavy fire and other such techniques. The big goal here is to disorient your enemies, making them confused and thus ineffective. High-capacity weapons are important here, as you're going to need every shell and cartridge to carry out these sorts of attacks. Keep in mind that a very important part of your loadout is the sidearm, as it will allow you to put down resistance even when you've run out of primary ammunition. Perhaps the best combat strategy is one not even of combat - just wait. Because you're in a pool of many players, you can essentially wait out the clock, letting players kill each other before swooping in with one of the other techniques and clearing the area that way. This is a good technique, but keep in mind that as the game progresses, the battle area shrinks, giving you fewer options for vantage points and assaults. A big part of BATTLEGROUNDS is playing the map. Understanding the general concept of where people are likely to go, how to move silently, and so forth are key to your long-term survival. Not everyone needs to be engaged. Firing your weapon alerts everyone as to your location, and if you see an enemy who is particularly well-equipped, in a vehicle, or simply in a bad spot to fire on, don't fire on them. Track them, and follow until they are in a vulnerable location or alignment with their surroundings before opening fire. A well-placed grenade against an enemy in a building who you've been tracking will kill with a single loud shot as opposed to using a machine gun or assault rifle that will attract attention for your entire area. Move from cover to cover. Almost every path in BATTLEGROUNDS is lined with cover in the form of trees, rocks, or buildings. Moving through and between them is hazardous in the sense that you might not see trouble coming, but it also severely restricts enemy vision and their ability to engage. Limiting attention and visibility in this way will make your movement easier. Be aware. When you hear gunshots, even from afar, move to cover immediately. Do not line up to the line of sight of people in the distance, because you don't know their weapon ranges. If you hear vehicles coming, get to cover - if you see a single vehicle, consider an ambush if they are going slow, but default to grenades before engaging in light arms combat. There are a few areas of the map that are high traffic, and should largely be avoided. These areas can cause you to be ambushed by multiple players each looking for resources as well, so you need to wait and see whether or not the threat is worth the possible reward. These areas include most towns, buildings, bridges and the military base. While items will spawn here more often, they attract players and thus raise the danger to new levels. This is a good and bad thing, though. While the danger is indeed heightened, it also means you have a good spot to set up ambushes and create choke points. Choke points are when movement is narrowed in a small area, forcing players to move through a guided path. An instance of this would be in towns where buildings create a natural main street or avenue - if planned correctly, these natural choke points can funnel players into a good spot for tossing grenades or opening fire, drastically reducing the player count quickly. Weapons in BATTLEGROUNDS fall into one of three categories - RANGED, ASSAULT, and SUPPORT. Ranged weapons are those with scopes and other attachments that facilitate engaging an enemy from far away, and are best used outside of urban environments where line of sight is preserved. ASSAULT weapons are those with medium ammunition counts and high mobility, but less accuracy. These are great for basic assaults and ambushes. Finally, SUPPORT weapons are those with high bullet throughput OR high damage throughput, ranging from heavy machine guns to shotguns. These are best for clearing wide areas and controlling your enemies' movements.